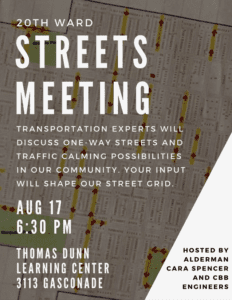 Join Alderman Cara Spencer and CBB Traffic Engineers on Wednesday, August 17th to discuss the preliminary findings of the recent 20th ward traffic study. Neighbors are invited to provide input on future changes such as one-way street designations and traffic calming measures to make the neighborhood safer and easier to travel for drivers, cyclists, and pedestrians alike. 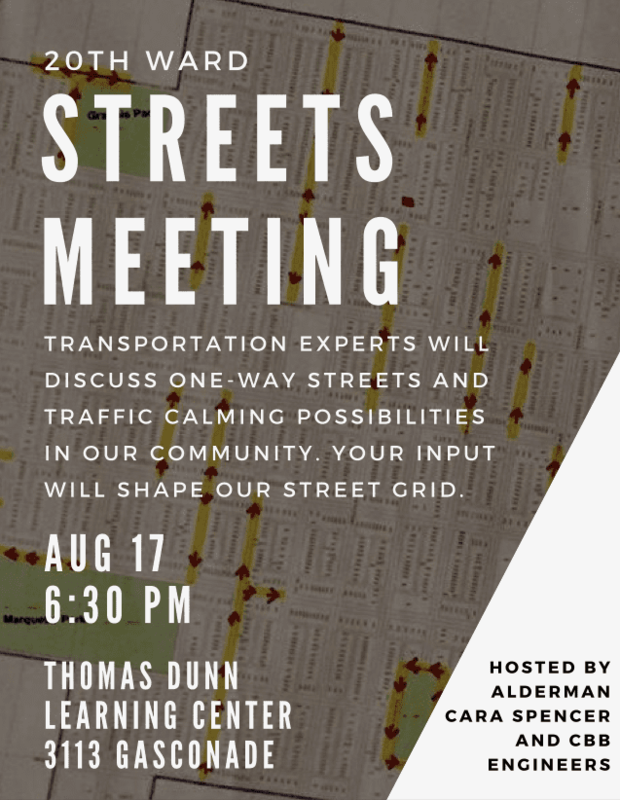 The meeting is on August 17th, 6:30pm at Thomas Dunn Learning Center. We hope you can attend! Read more news about 20th Ward, Dutchtown, Gravois Park, and Meetings.